A certain assurance comes with winning back-to-back Champions League titles, not to mention three in four years, and when those recent triumphs come at a club that was already the most successful in the history of the competition, there is no room left for insecurities. There never has been at Real Madrid. As outlined in these pages, Madrid’s unerring belief that the European Cup is their trophy and theirs only is a significant factor in their success. 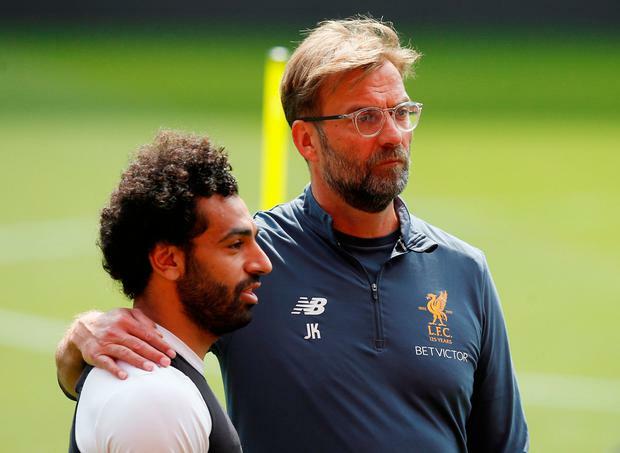 It could be characterised as ‘arrogance’, and ahead of Saturday’s final in Kiev, amid all the lip service about paying due respect to their opponents, that ‘arrogance’ has slipped out in drips and drabs. Kroos at least gave Liverpool their dues in the majority of his media dealings on Tuesday, as any current Madrid player typically would. Those no longer actively connected to the club but still loyal Madridistas, meanwhile, have seen little to worry about. Jose Antonio Camacho, another man to both play for and manage Madrid, has also predicted a comfortable three-goal victory. Francisco Gento, veteran of the all-conquering 1950s teams and now the club’s honorary president, rounded off a ballot for tickets to the Kiev final by describing Madrid’s task as “está chupado” – in other words, a piece of cake. El Pais journalist Diego Torres, known best in this country for his illuminating account of Jose Mourinho’s time in Madrid, offered an insight into Madrid’s thinking while speaking to Bleacher Report earlier this week. Torres himself would seem to share the view that Liverpool are an eminently beatable team. After the semi-final in Rome, he described Jürgen Klopp’s side as “a super-competitive team with a second-rate defence and a limited midfield made up of serious, professional players but with no class and little invention”. His opinion has not changed much in the weeks since, either. Torres’s dispatch from Anfield on Monday describes a team of players who – outside of Mohamed Salah, Roberto Firmino and Sadio Mané – depend on hard work, desire and belief. Klopp’s midfield comes in for particular criticism. This grim evaluation of Liverpool’s prospects tallies with El Mundo’s Julian Ruiz, who concluded after the Rome semi-final that despite his great affection for Klopp’s side, they would be “crushed by Madrid’s legend”. However, in the same newspaper, Guille Uzquiano can find reasons for optimism in Liverpool’s ranks – highlighting the improvement Virgil van Dijk has brought to the defence as well as Milner’s productivity and experience, the Yorkshireman “hardened in a thousand battles”. Those Spaniards familiar with Liverpool as a club are also willing to give them more of a chance. Josemi, Rafael Benitez’s first signing as Liverpool manager back in the summer of 2005, backs his former club to prevail in Kiev. “In a one-off game, I see the favourite as Liverpool,” he told Diario AS. “It is more competitive, especially after the last matches of Madrid,” referencing the recent defeat to Sevilla and draw with Villarreal in La Liga.